Hello lovely beaders! Have you had a good month? Was it bead-filled? I hope so! This month's prompt has NOTHING to do with the holidays, which may enrage you or please you mightily, depending on your outlook on holidays. If you're looking for holiday fun, I totally recommend Jean Power's Secret Beadalong - it looks like mega amounts of fun. 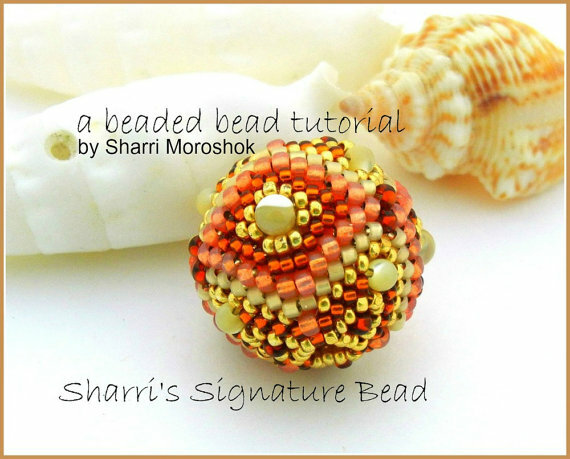 IF, however, you're into just regular everyday beady awesomeness, look no further, for we are about to embark upon... Beaded Beads! Yes indoodly, this month's prompt is to use those tiny little bitsy beads and turn them into bigger, more complicated beads! Beaded beads designed by various artists and combined into one necklace by me. 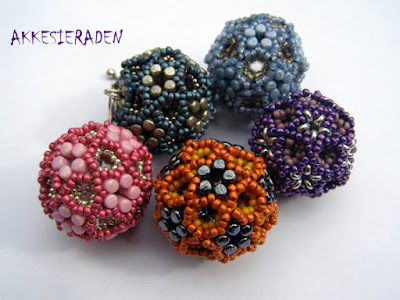 My first foray into beading was actually earrings, but I became wildly obsessed with vessels, and then even more wildly obsessed with beaded beads. Oh my, the possibilities! The intricacy! 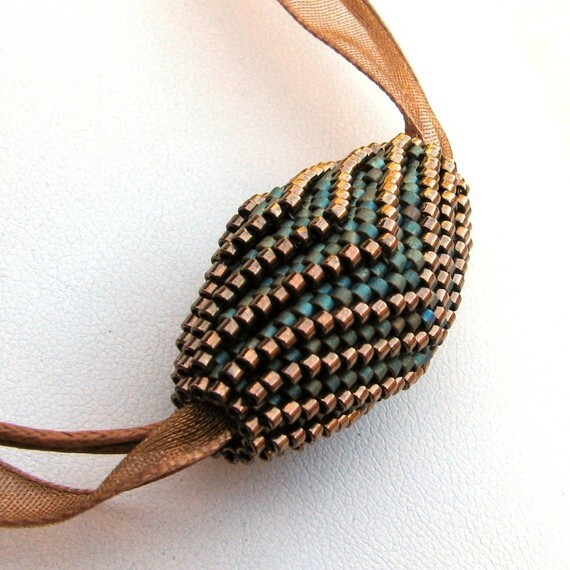 The visual and tactile textures! Ahhhhhh!! 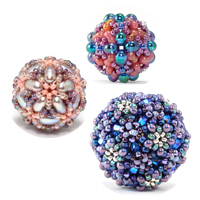 Those addictive, gorgeous spheres of beadiness. There are a bazillion and one tutorials out there for making these beauties - you may already have a favorite - so I can't possibly include them all, but I have hand selected a few to offer if you haven't tried making these but would love to. The first photo shows Sharri's Signature beaded bead - the first one I laid eyes on in a beading magazine. You can find that tutorial HERE. 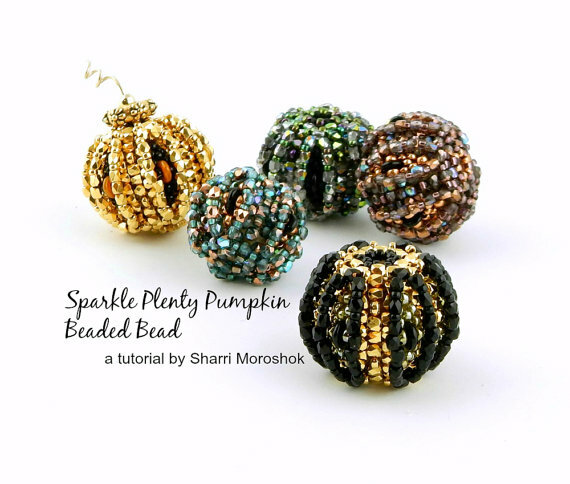 The second is her Sparkly Plenty Pumpkin bead tutorial (which seems apt for our time of year) and you can grab that one HERE. 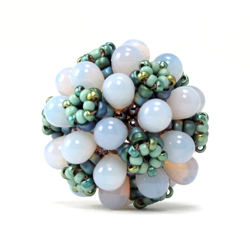 Then there are the gorgeously imagined and realized beaded beads by magician Cindy Holsclaw of Bead Origami. OMgoodness, these are so rich and luscious!! And these are just a FEW of the beaded bead tutorials available on her site. 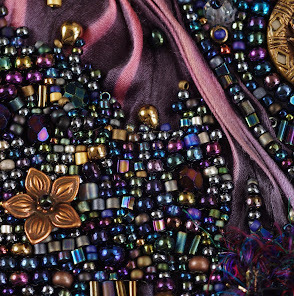 This is the Disco Beaded Bead Bundle pack - you get the instructions for all three of these HERE. And, I must include this tutorial by Cynthia Newcomer Daniel, called Luscious Layers (which you can find HERE in her Jewelry Tales shop) because it was one of my all time favorite ones to make. I had SO MUCH FUN with this!! And I can't find my photo, lol - but here is Cynthia's photo, and isn't it fabulous??!?!? 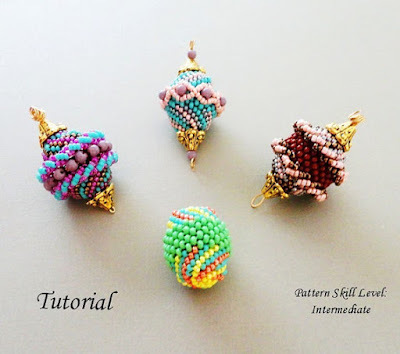 Sylvie Camps of PeyoteBeadArt on Etsy has this lovely tutorial that includes four different patterns - you can find it HERE. 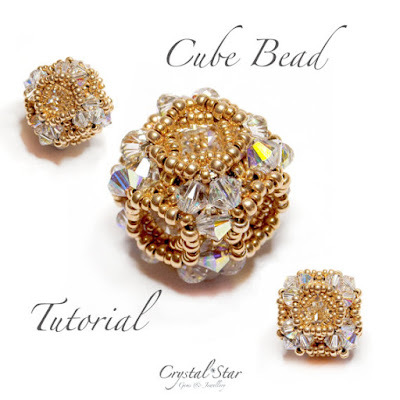 And Tracey Lorraine of Crystal Star Gems on Etsy has a glamorous cube beaded bead that I just adore (it would look incredible just by itself on a gold chain!) HERE. And that's all I have time for today, but I hope I've provided some inspiration and that you try one! Yes, go on and bead yourself a bead! :D Happy beading until next month, everyone! Beaded beads are one of my favourite things to bead! So excited by this prompt.